AT LAST!! the BRiEFS return to Europe for a CLUB TOUR into their favorite holy kingdoms to share their unique take on the birth of everyone's fave baby Jesus and the resulting joy that followed. Find the ticketlinks and eventpages on the "on tour" section! Allright Ladies and Gentlemen. 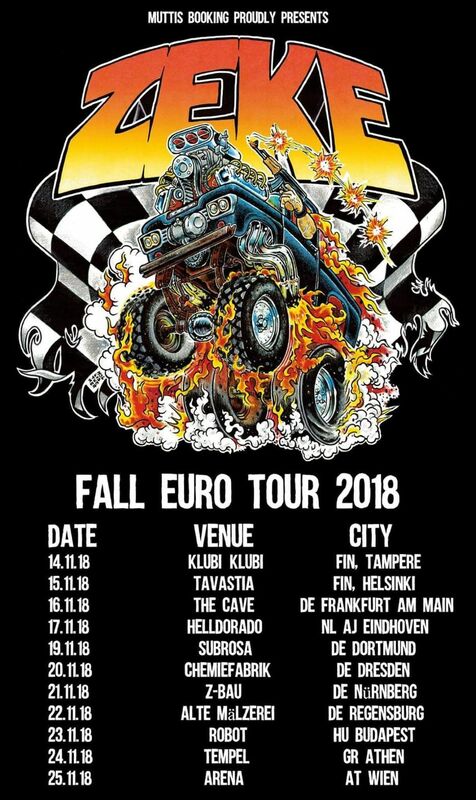 The Godfathers of Full Throttle Speedrock are comin´ back and makin´ a mess outta Europe!!! 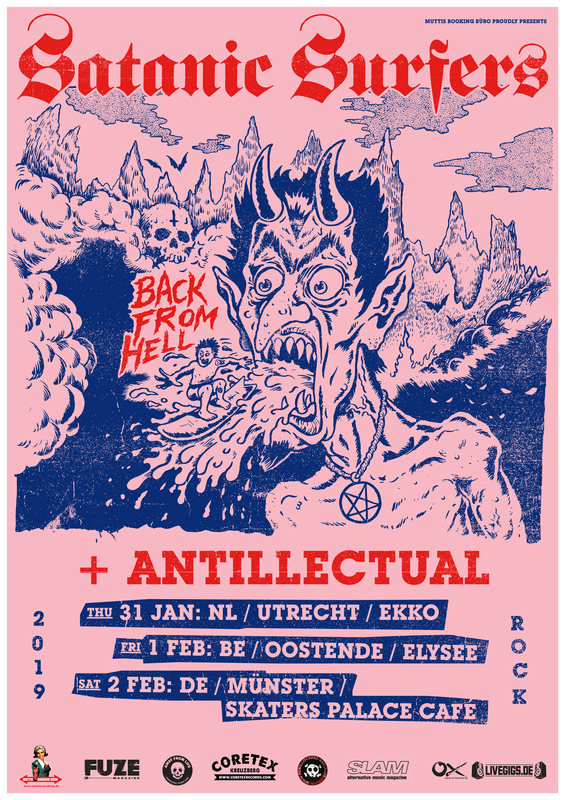 Satanic Surfers will be back for a little run through Blegium, Netherlands & Germany. One show per country, sounds fair, right! On all shows they will be supported by the great Antillectual! 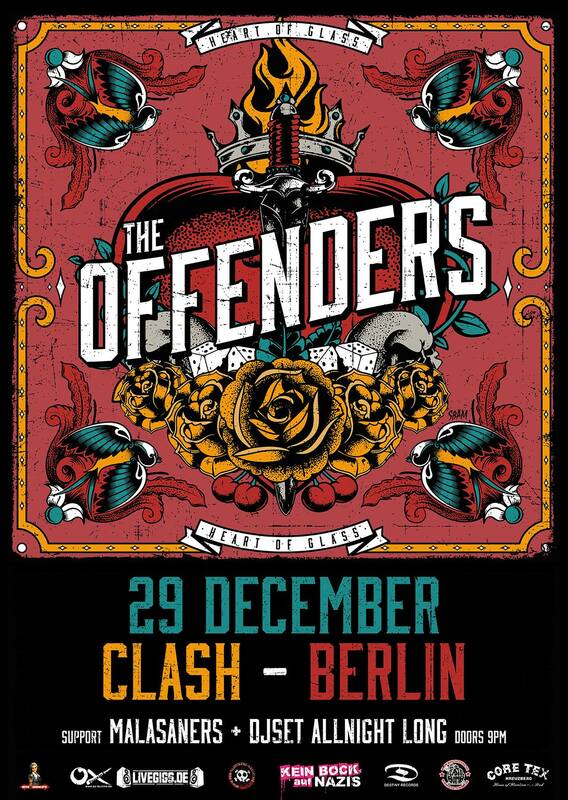 THE OFFENDERS are back at the Clash, for the last show of the year. As always! Dear Ska Lovers. Let´s get Rock Steady with the Johnny Reggae Rub Foundation. Comin´ to a town near you, just call us!!!!! 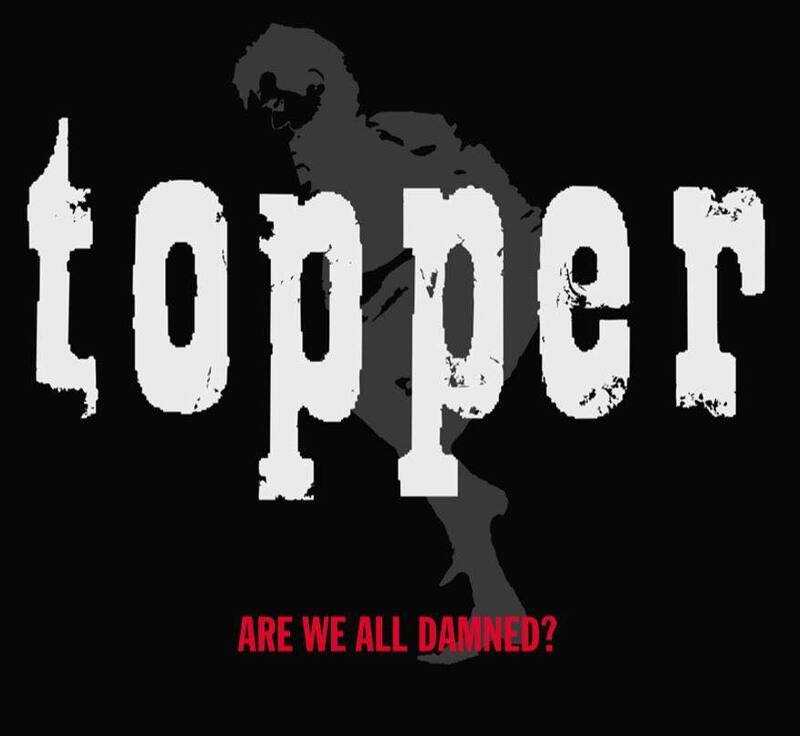 Today is the start of the Topper tour through German and they bringing their brand new record "Are We All Damned" - give it a listen on Spotify ! 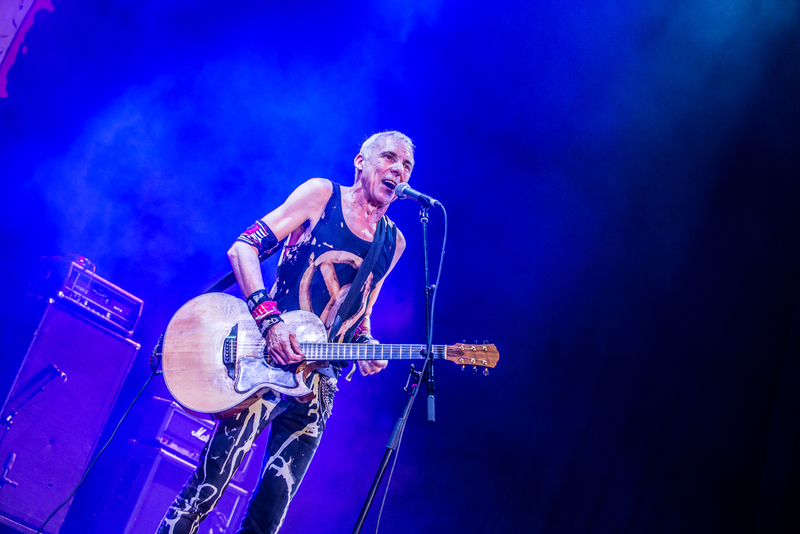 after the Wild At Heart show with TV Smith last friday we are supper happy to announce that TV Smith will be back in November, together with the great Die Toten Hosen. They are going to play a show at the SO36 on November, 7th 2018.